The father of Chandler Riggs, the actor who played the role of Carl Grimes in 'The Walking Dead', has once again spoken out about his son's unexpected exit from the show. Riggs' character died in the eighth season, back in 2018, and his death not only shocked fans, but also the actor and his family. It is not the first time Riggs' father, William Riggs, has spoken out on Facebook; he wrote a post back in 2017 claiming his son had been fired and was promptly asked to remove it by AMC. 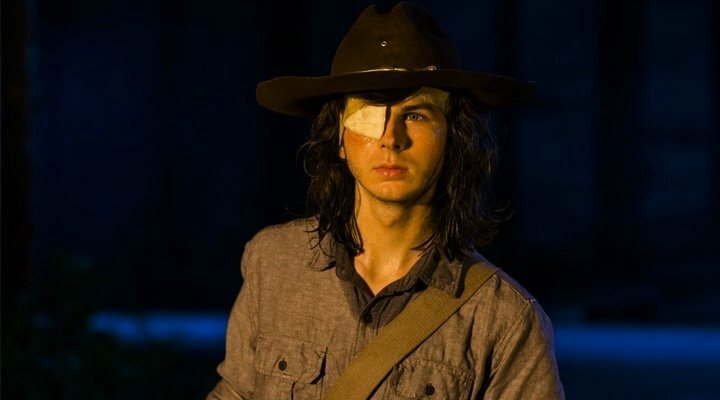 William Riggs' new post describes his son's disappointment at the way in which showrunner, Scott M. Gimple, treated him after having promised the actor a place on the show for years to come. "Chandler didn't want to leave the show. [...] Scott Gimple personally called him and said on a conference call in April that they needed him for 3 years." During this time the actor had been accepted into the University of Georgia, leading him to buy a house near set in order to be able to split him time between studies and filming. "It was the middle of June, his 18th birthday was coming up in a couple of weeks, 5 episodes were filmed, and they asked for my wife and I to both be at a meeting with Chandler- which was a little odd. It made me nervous but he and his manager assured me it was to plan for filming schedule, etc. Scott Gimple was the only one there and he told us that Carl would be gone in a few episodes," William Riggs wrote. "Chandler was absolutely devastated. I was disappointed Scott had been dishonest with a 17 year old making life decisions and waited to tell us". Carl's death was one of the most surprising moments in the series seeing as the character is still alive in the comics. In the episode he commits suicide after being bitten by a Walker. In January 2018 Scott M. Gimple was promoted to director of content in 'The Walking Dead' universe, and the showrunner is now Angela Kang. This message from Chandler Riggs' father was posted on the same day that the second half of Season 9 was released. In this run of episodes the survivors will have to face the most dangerous enemy yet: the Whisperers. This is a group of people who disguise themselves in the skin of a Walker and attempt to wipe out the human race. At the end of the last half of the season, Negan managed to escape captivity and now plans to seek revenge.